Naomi Osaka is playing the best tennis of her young career. And she just beat her all-time favorite player. 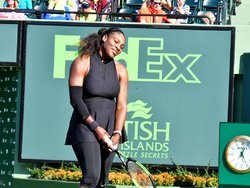 On a blazing hot Wednesday afternoon at the Crandon Park Tennis Center in Miami, Florida, tennis fans were treated to a first round blockbuster between likely the greatest women’s tennis player in history, Serena Williams, and a first-hand look at tennis’ future in 20-year-old Naomi Osaka. The Japanese star arrived in Miami fresh off of winning the BNP Paribas Open last week in Palm Springs. 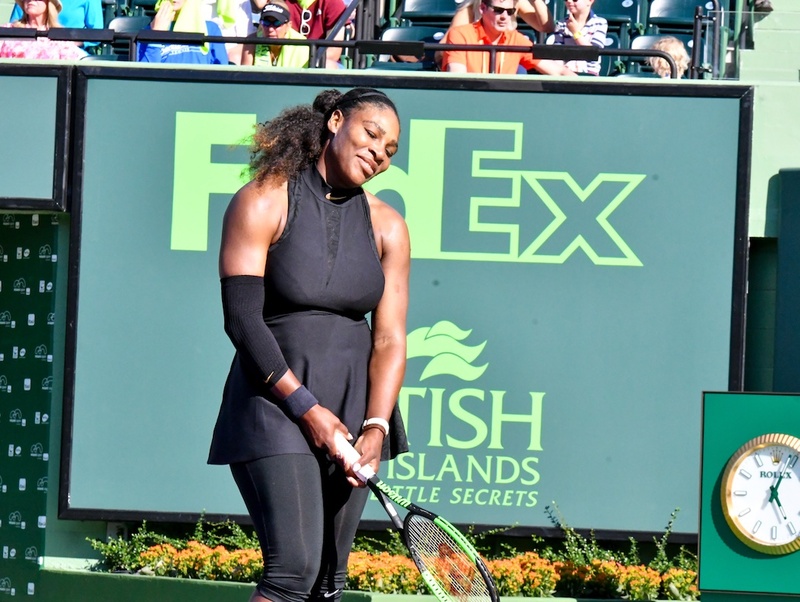 The match stayed on course through the first six games until the Fort Lauderdale resident crushed a backhand at Williams’ feet that was unreturnable. Osaka, who plays for Japan, broke serve and then did so again during Williams’ next serve game that featured several deuces. Osaka took the opening set 6-3. After a remarkable opening set with strong ground strokes, steady service returns and very powerful service games, Osaka upped her game once again to take a 3-1 lead and never looked back. Williams, a 23-time Major Singles Champion hit an unusual and rather ugly unforced error to end the match. And after 77-minutes, Osaka was the winner 6-3, 6-2, advancing to a second round showdown with World No. 4 Elina Svitolina. “I was extremely nervous coming on to the court,” Osaka said after the match. “I don’t know if anybody knows this but Serena is my favorite player. It has been a remarkable 2018 for Osaka, who now owns 14-4 record so far this year including rising 50 ranking spots up to No. 22 in the world due to her success on the court and in Palm Springs. With her win this afternoon, Osaka became the lowest ranked player to beat Williams in Miami. Williams, who returned to professional tennis in Asheville in February to compete in the United States’ Fed Cup Tie against The Netherlands, had a 13-month layoff following winning the 2017 Australian Open to give birth to her daughter, Alexis Olympia. Victoria Azarenka was also a winner on Wednesday afternoon defeating 18-year-old American Catherine Bellis 6-3, 6-0. Góralską siłę mam we krwi!